Dr. Zakir Naik: Discover Islam! The project of Discover Islam present an awesome collection “Discover Islam Web Book” to those who are seeking the truth, The Islam. This is the most comprehensive Web Book about Islam. 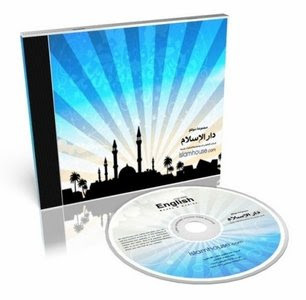 The Web Book CD includes: The Holy Quran (eBook), Holy Quran Software, Recitation of Holy Quran With English Translation, Islamic audio, Islamic flash video, Islamic software, Islamic eBooks, Islamic Software, Islamic mp3, Quran recitation in mp3, Quranic Searching. Full Arabic Text - The Entire script of the Holy Quran in Arabic is built into Quran Viewer. English Translation - The most widely accepted English translation of the Holy Quran. language Plug-in - French translation, Spanish translation,Chinese translation and German translation. Quranic text - that has been processed to work within Quran Viewer and shows the pronunciation of the Arabic words written in English. Commentary - Provides an introduction and brief commentary of each Chapter of the Holy Quran. Hierarchical Index - Provides access to well-known subject matter covered in the Holy Quran. Quranic Searching - A fast and intelligent querying engine facilitates quick and easy searching of the sacred and Holy Text. Quranic Duas - A library of almost 100 Duas (Supplications) from the Holy Quran, organised in convenient categories. You can view the Duas in any installed language! Recitation of the Holy Quran With English Translation and Islamic Audio Lectures is there. You can play Holy Quran Recitation & Audio lectures on DVD player. You can play Holy Quran Recitation & Audio lectures on mp3 player . You can download Holy Quran Recitation & Audio to your favorite portable mp3 player. These are all rapidshare links and you will nedd to unzip them.